While the Indian nationalists took up the issue of boycotting Pakistani artists, given their bigotry and hate speech in the past, the idea for Indian artists to also boycott Pakistan does not arise so often. While Aamir and Shahrukh were given a good treatment post tolerance debate, this other dimension to boycott Pak does not appear to have been main-streamed. It was not a surprise that twitter went up in arms today against the Pak decision to deny visa to Anupam Kher and lambasted each and everyone who was having fun at this sight. There are two dimensions of this problem. And the usual suspects were paraded naked by the nationalists on twitter as shown in the tweets below. Their hatred for Anupam Kher reaches a new level every day. It is not a surprise that they were ready to give a free pass to Pak High Commissioner rather than stand by their own fellow citizen i.e. Anupam Kher in this case. But we all very well know the loyalties of these presstitutes and were not surprised at any of these developments given Anupam Kher has spoken about the genocide of Kashmiri Pandits, a topic that is too taboo in our secular parlance. There is second dimension which was hardly raised by any of us i.e. 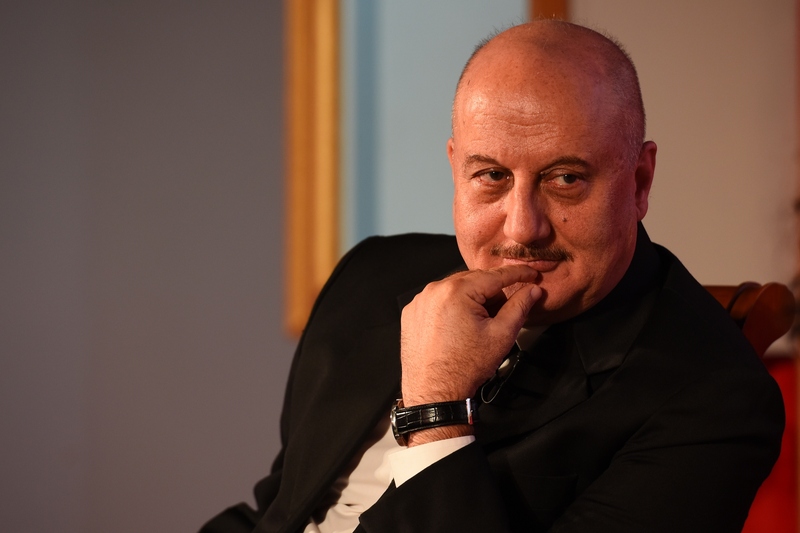 why does Anupam Kher need to visit Pak? The boycott of Pak cannot be restricted in just one direction i.e. stopping Pak artists and cricketers to perform in India. It has to be implemented in both directions for which we need to ensure that Indian artists should also stop visiting the Islamic hell hole of Pakistan. It is more than enough to let Aamir and Shahrukh pay obeisance to their fans there, but rest of the nationalists can survive very well without that honour. Of course, the problem with implementing this second dimension is that the rules of the game are still determined by the leftist ecosystem, which is deeply entrenched in our lives. Anupam Kher openly speaks about Kashmiri Pandits but he still has to prove his secular credentials and well there is no better way to prove it than visit Pak. Although he should be given some slack due to his artistic credentials, but why on earth does anyone need to visit Pak, a country which is very well known to be India hater, to show his art. So, what is the way forward? It is fairly straight forward and simple. Indian artists do not have to beg for visa from the world renowned beggar i.e. Pakistan. There is no reason to feel hurt by Pak’s denial to give visa to Indian artists. It is only helping the Indian cause as it now becomes much easier to lobby for ban on more Pak artists citing their bigotry as shown in the case of Anupam Kher. Pakistan has served us with such a good case to beat down the “Aman ki tamasha” brigade once and forever. So, just go and grab it cheerfully rather than bash Pakis and leftists for their foolishness. They just shot themselves in their foot. Supporting the ban on “Ghulam Alis” could not have been this easy without Pak support!! Thank you Pakistan! !